Continuing my streak of reading only the most recent books by writers with careers reaching back a half-century, I borrowed The Overneath as soon as I noticed it on my local library’s new-fiction shelves. My knowledge of Beagle extends to dim memories of seeing the animated adaptation of 1968’s The Last Unicorn on HBO, and my eight-year-old self finding it too quiet and sad to enjoy. As such, I fell into this book with no expectations other than let’s read some fantasy shorts by a super-old dude. Well: I loved it. While not strictly a retrospective — all the stories have original-publication dates in the current century — Beagle seems to have structured the book with his own past work in mind. It opens with a Last Unicorn prequel, providing an origin story for Schmendrick, the inept magician who would later travel with the titular monoceros. This segues into two new stories about unicorns, informed by Arabic and Chinese legendaria, with settings and tone to match. 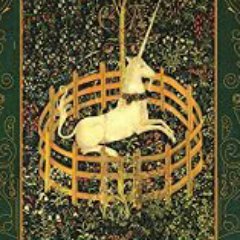 A final unicorn story set in colonial America rounds out the book, with a second Young Shmendrick story at the midpoint. And in the rest of the pages, all manner of things. A gnarly ode to a real-life troll statue that lurks under a bridge in Seattle. The story of two sweet old ladies who must fix their aquarium after they accidentally add a decoration cursed with a pirate-ghost. A day in the life of DEA agents patrolling the American desert with a dragon-proofed jeep. And so on! I cannot lie: Knowing practically nothing about the author other than his age, I expected at every page to cringe at some evidence of oh-grandpa outdated cultural mores. Part of me had my bony finger raised and ready for an extended tut-tut session given the lack of women in the initial triad of unicorn stories, but these are immediately followed by two stories that neatly neutralized that complaint. Had I really wanted to reach for it, I’m sure I could have found something to offend in Beagle’s depiction of an ancient Chinese judge, or a Native American mystic, or a Jamaican-born exorcist. But I chose not to strain myself so, and allowed myself to instead feel utterly charmed at the diverse cast with whom Beagle has peopled these stories. The book does contain one undeniably cringeworthy story, and I find its inclusion curious. Each tale opens with a brief editorial preface, and Beagle uses this one to all but apologize that the attached story is really not his best work — but he found it so meaningfully personal that he felt obliged to include it anyway. And there proceeds a story about an older man who, through a computer he barely understands, befriends a space-alien girl and chats with her regularly until her space-alien dad shows up and reveals she’s space-alien underage, and so he stops, the end. It reads like a pathetically self-denigrating Kilgore Trout novella, and — as the introduction promised — not at all at the level of the rest of the collected prose. 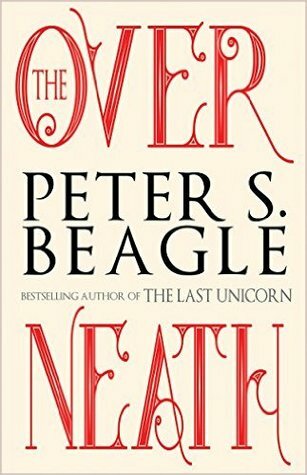 “Peter S. Beagle, did you get catfished?” I asked the book, aloud. What happened here? I will never know. This lampshaded oddity is offset by the hundred subtleties found throughout the collection. Personally, I found the book full of writing lessons, even though I seldom write fiction per se — the whole volume shot through with so much quietly masterful expression. I recall, for example, a particular moment in the final story as a reformed scoundrel prepares to end his exile in colonial Maine. He packs nothing but a few mementos from his time in the wilderness, each suffused with memory and experience, and reflects that he leaves with far more than he arrived with. I have to say that I felt rather the same way, by the time I finished this book. My creative pace with this website skipped a beat because I last week moved to Providence — the first major relocation I have undertaken since relaunching this blog in 2014. Reasonably settled now, I plan to resume the site’s weekly-ish pace starting with this post. I began Fogknife, in part, as a reaction to the isolation I felt during my first iced-in winter on Aquidneck Island. My partner and I removed ourselves back to the mainland for expressly quality-of-life reasons, choosing to bear significantly longer daily commutes in exchange for the promise of richer social and cultural opportunities that living in a real city brings. For all my moping over its spartan nature, Newport was good to me. I will do my best to carry the projects and habits I began there — Fogknife included — into this new context, and work Providence’s increased event-density into inspiration rather than distraction.